1. Plastic tubing caps will satisfy with your product protection, masking and finishing needs. 2. Multiple strong ribs for a secure fit, tube insert provides stability, provide longevity and strength to your furniture. 3. Tube caps include multiple horizontal ribs designed with built-in flexibility for easy install and secure fit. 4. Preventing your floor from scratching by sharp metal legs. 5. Prevent dirt and moisture entering into offering a neat finish to tube ends, protecting the internal section of the application. 6. Make moving easy and noise-free by installing them to the bottom of the application, such as chairs and desks legs. 7. 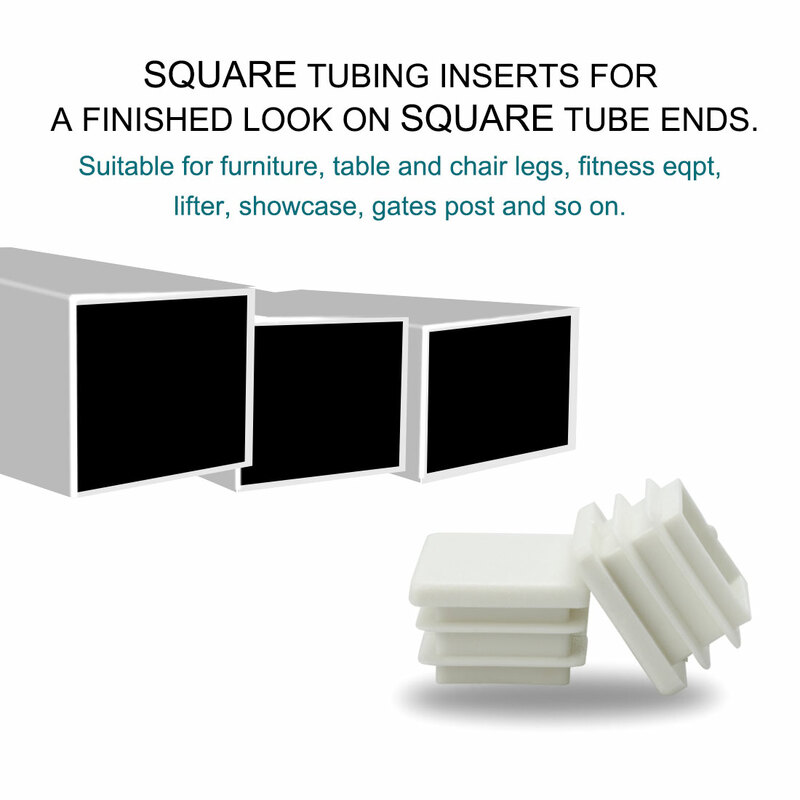 These strong protective tube inserts are ideal for tubular racks, covering sharp tubular ends, or anywhere a finished look is needed. Such as office and patio furniture, chair legs, table legs, walking sticks, ladders, shelves, metal stands, gym equipment, etc. 1. You can just finish installing tap item with your hand or a hammer to secure fitting. This kind of product without the need for fixings or adhesives. 2. Our product is made of strong plastic, if the tube insert that you ordered is a bit large, you can tap with a hammer. 3. Since the tube insert is new, there might be some smell when you use it for the first time, so please make sure you do not mind before ordering. You can put it in the sunlight to make it go away.